Have you ever noticed that when you’re the last one to take a shower that half-way through you get a cold surprise? Or has this happened to you: when you turn on the hot water, you scald your hands. This is probably because you have a traditional water heater. However, tank-less hot water heaters are able to sustain constant temperature while saving money in the long run. 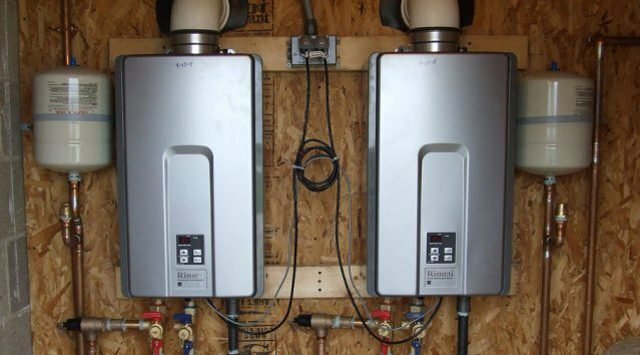 Electric tank-less water heaters are very small units, typically hung on the side of a house, which are preset to a specific temperature. When you turn on your hot faucet, a device in this unit is activated by the flow of water, triggering it to be heated instantly. Therefore, your water is only heated when you are using it. You never have to pay for “standby” water like traditional water heaters which have to store the water all the time. Storing water is expensive because the tank has to constantly heat and then reheat the water in the tank, even when you’re not using it. Since electric tank-less water heaters don’t have to consistently reheat the water, your electric bills will actually be reduced. Traditional water tanks cycle on and off, even when you’re gone from the house. And keeping this water warm uses up a lot of energy. But tank-less heaters only work when you want them to. Also, since traditional tanks have constantly warm up the water throughout the day, it actually overheats the water. This means that sometimes the water will come out scalding hot. These tanks actually adds cold water when you turn on the faucet in order to make the temperature warmer. All this waste is not only bad for the environment, but it’s also costing you money. Save Space: Unlike tanks which take up a lot of room, tank-less heaters are small and out of the way. No Replacement: These units typically come with a lifetime warranty, whereas tanks will eventually give out over time. No Leaking: Since there is no storing large quantities of water, electric tank-less water heaters never seep. 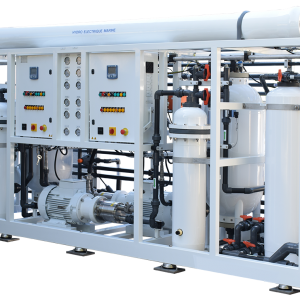 Environmentally Friendly: Due to less water use and energy waste, these particular units run on fewer fossil fuels and conserve more power. 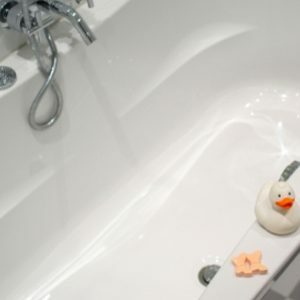 Healthier: Letting water sit for too long can create certain bacteria. Whereas a tank-less water heaters never have to store water. If you’re tired of getting high energy bills, an electric tank-less water heater is probably the solution for you. Not only are they more sophisticated, contemporary, and hidden away, the additional comfort they provide is worth the acquired savings. There are many popular and trusted water heater brands on the market that make tank-less heaters. The costing generally ranges between $1,000 – $2,000. Rinnai, for example, has a luxury whole-house heater that can be purchased for about $1,200. Check out our True Cost Guide for more Rinnai tank-less water heater prices. 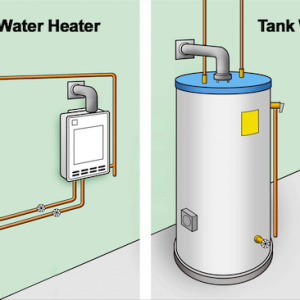 The Importance of Clean WaterHow Much Does It Cost To Install A Tankless Water Heater?